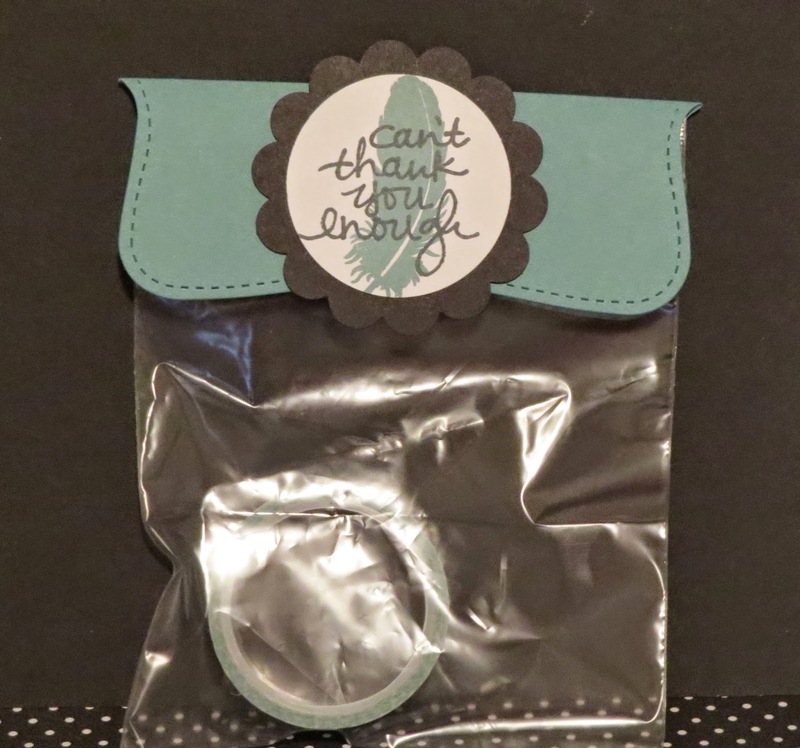 Karina's Kreations: Lovely Amazing You Gift! 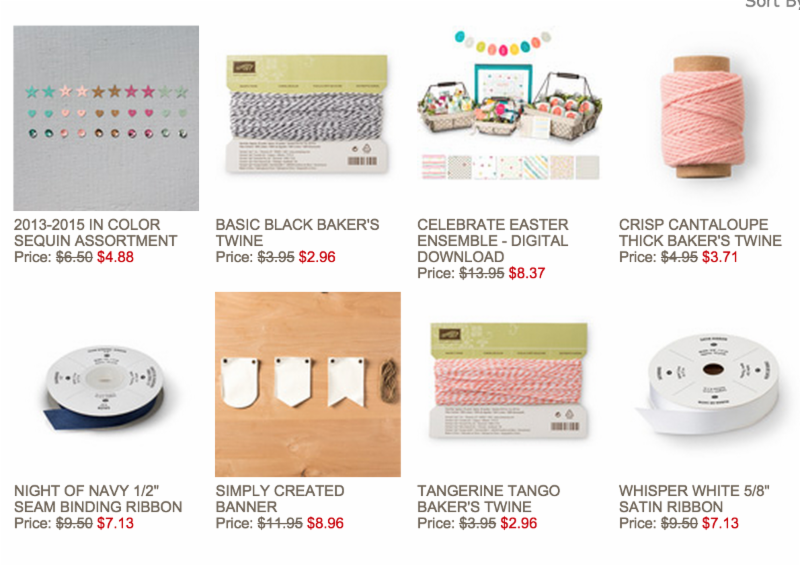 Every month I put a small treat or product gift in with my customer's orders. I'm know there are a lot of other demonstrators and I'm so thankful my customers are still stamping with me. 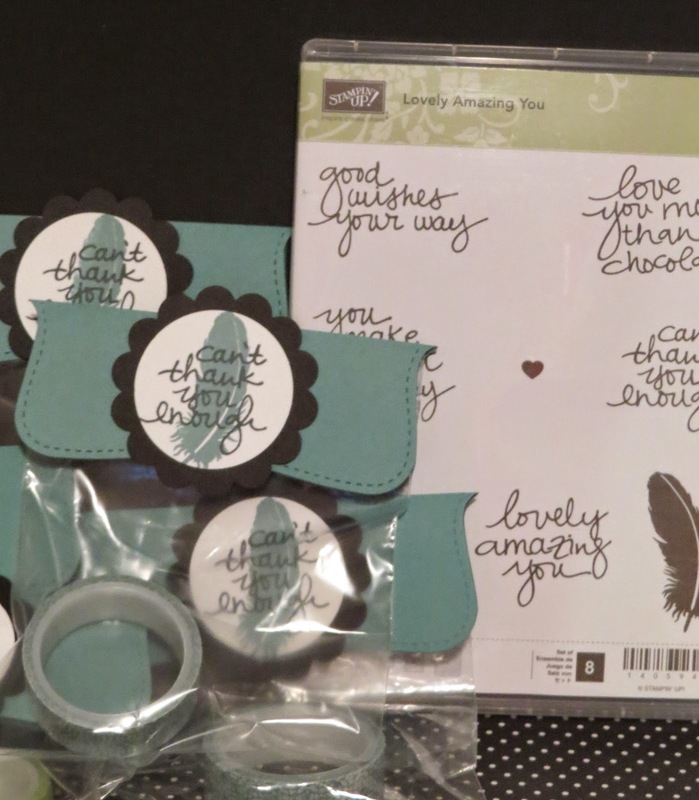 I used a brand new Photopolymer stamp set called Lovely Amazing You. I love the beautiful sayings in this set! I stamped my feather with Lost Lagoon ink on Whisper White card stock and punched it out with the 1-3/4" circle punch. It was layered onto Basic Black 2-3/8" scallop circle punch. I attached it to the Lost Lagoon card stock that was punched out with the Top note die.